Almost a repetition of 1st Test. India put into bat in overcast conditions. Initial overs were almost impossible to play. Indian batting line up suffered a lot and wickets fell at regular intervals. Day 2 India will start the proceedings with 183 for 6 on board. Dhoni is batting in on 20 and Harbhajan on 15. VVS Laxman was the highest scorer for India who managed 38 before he was caught by a stunner by Tsotsobe. Steyn removed 4 Indian batsmen. Tsotsobe removed two. Will India reach a respectable total of say 250 and then give a tough fight through some inspired bowling? 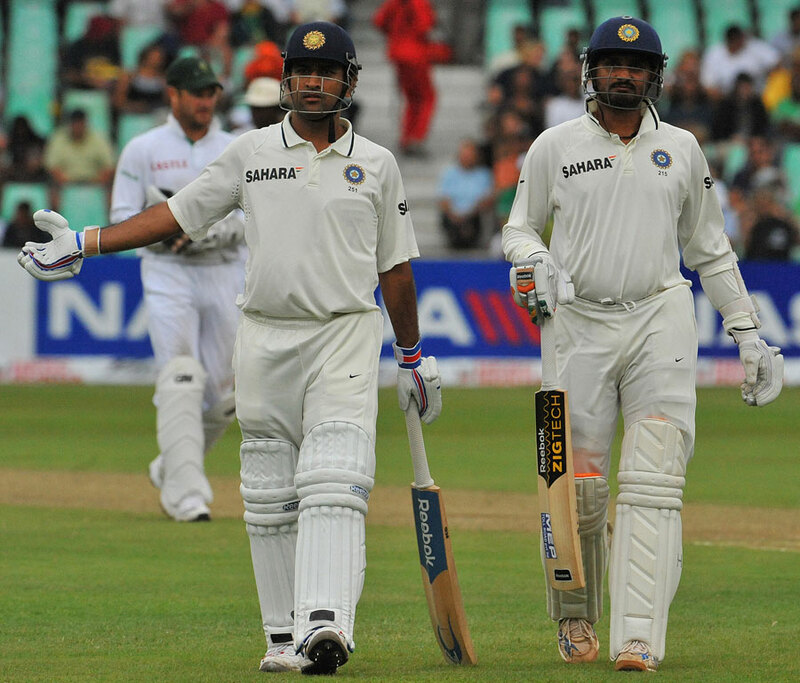 Or will South Africa bowl out India cheaply and again get a huge daunting lead over India? Stay tuned as India Vs South Africa 2nd test Day 2 reveals answers to these questions.